These beautiful animals were all an influential part of our herd at one time. They were either sold to help keep our numbers manageable or they passed away. Their genetics continue to influence out herd through their various offspring. We are forever grateful to all the does and bucks who came before. Description: Jaycee is a smooth blending, flashy doe. 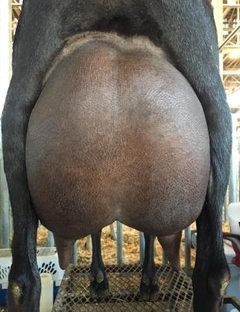 Her mammary system is very globular with a very wide rear udder attachment and smooth foreudder. 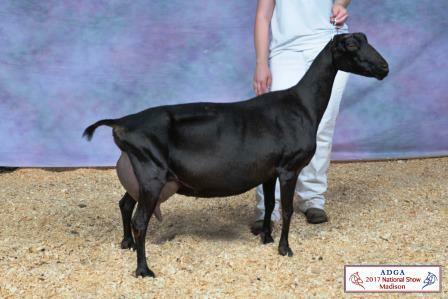 She was the first place four year old, the Reserve National Champion senior doe at the 2013 ADGA National Show and was awarded Reserve Best Udder at the 2013 ADGA National Show. 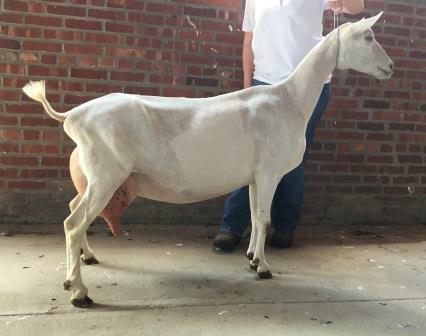 She was the first place aged doe at the 2016 and 2017 ADGA National Shows along with BEST UDDER in 2016 and Reserve Best Udder in 2017. She continues to be a very productive doe that exudes longevity. Retired. Description: A beautiful and powerful doe. 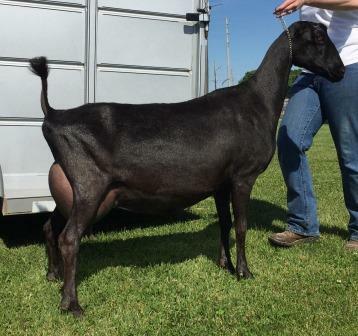 She was the 1st place Senior Kid at the 2013 ADGA National Show and 1st place dry yearling at the 2014 ADGA National Show. 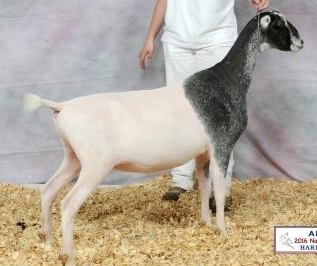 Karaoke's success in the show ring continued as a 2yo first freshener and she quickly earned her championship. Unfortunately she had to sit out of the 2017 ADGA national show due to illness, but her general appearance and power still make her one of the strongest does in the herd. Deceased 2018. 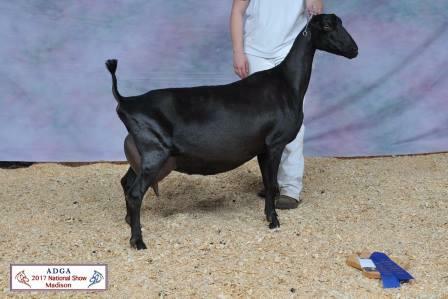 Description: EZ PZ is a very strong doe with a lot of similarities to her dam. Sold. Description: A deep powerful doe with a very structurally correct mammary system. This doe should just get better with time. Sold. Description: A deep powerful doe. 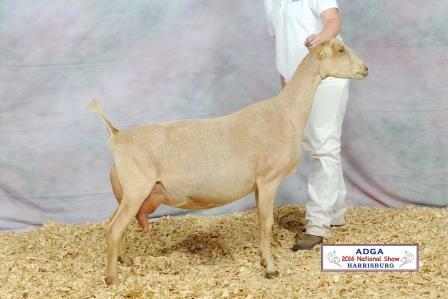 Her first time in the show ring she won Best Jr. Doe in Show at Little Rock, AR under Todd Biddle. 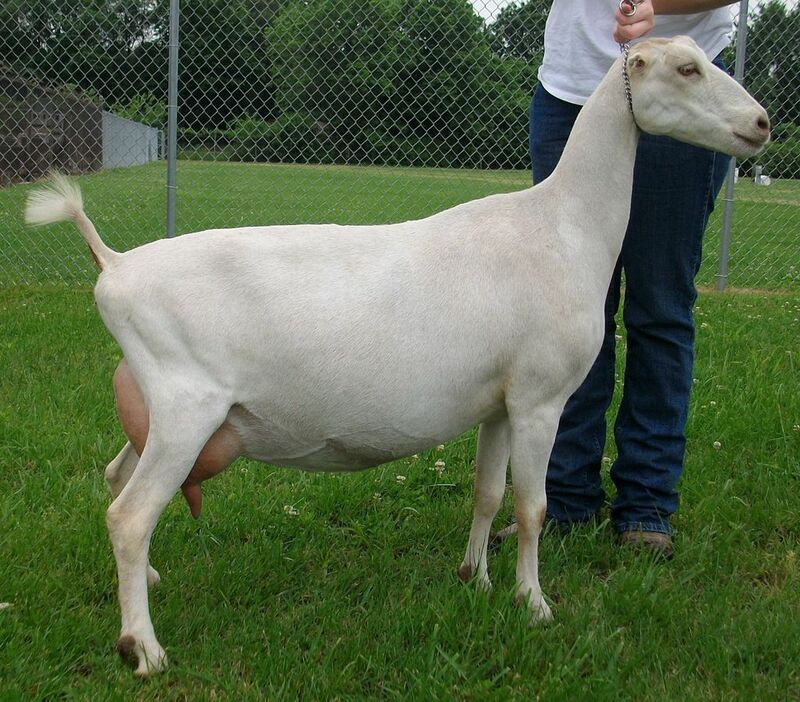 She freshened with a very capacious mammary system that has a wide and high rear udder attachment. She also quickly finished her championship as a first freshening 2 yo. Deceased. 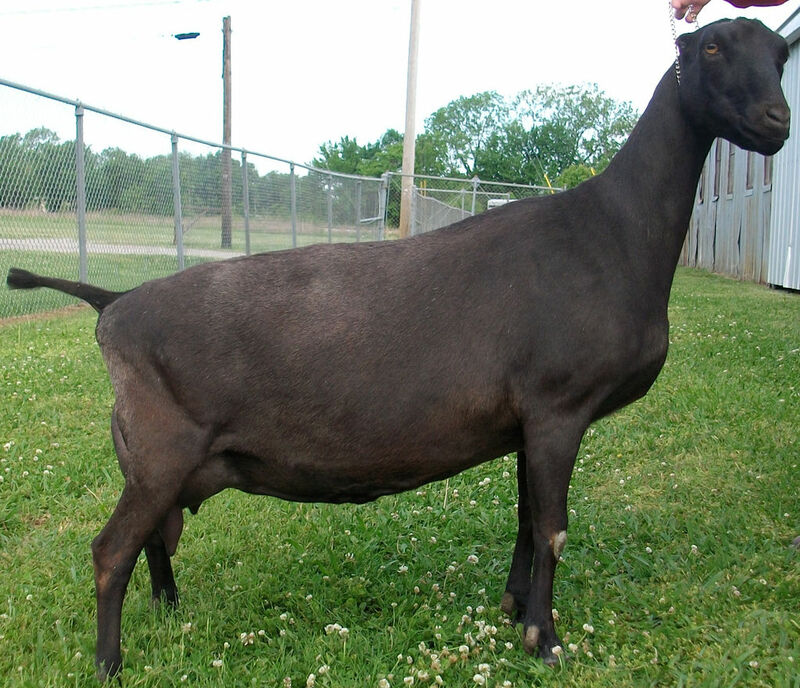 Description: Kae-Cee is a long bodied doe with great dairy strength. She also easily finished her championship as a first freshening 2 year old. She has several attributes that remind me of her dam Jaycee. Sold. 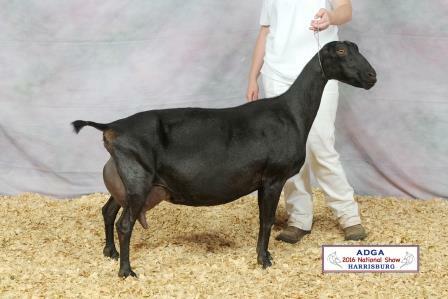 Description: Kala was an absolutely gorgeous doe who was the standard for what I want my breeding program to produce. She was long bodied, level, structurally correct, with a balanced, well attached mammary system. 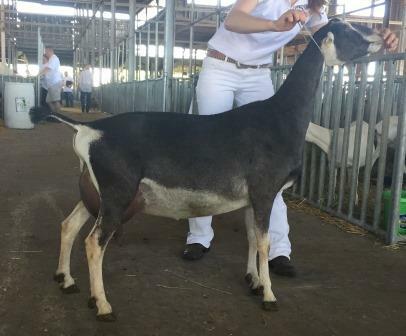 Unfortunately, she did not have many doe kids, but the ones she did have (Kiwi, Kharma, Karaoke) have excelled in every way. 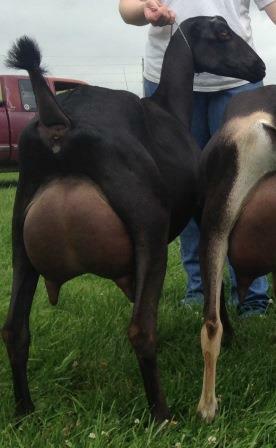 She was 2nd place 5-6 year old milker at the 2013 National Show. Deceased. 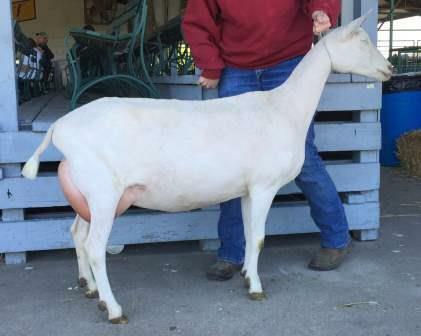 Description: Kiwi was a big deep bodied powerful doe with a beautiful mammary system. One of my all time favorite does. Deceased. 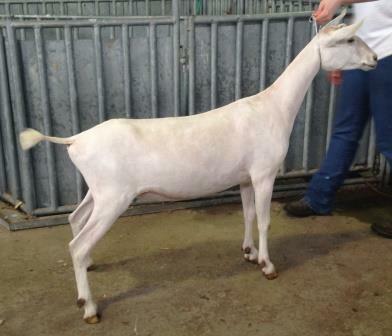 Description: Emmy is a dairy type doe with great angulation. She freshened with a very correct mammary system as a yearling. Sold. Description: Ivy is the exact opposite of her sister Emmy. She is a very boned, angular and stylish kid. Sold. Description: Another cookie cutter doeling out of Jaycee. 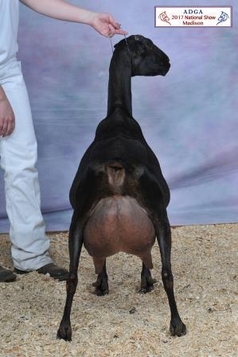 We have big expectations of this doeling. Sold. Description: Elsa has matured in a big powerful doe with great general appearance. She has a very high and wide rear udder attachment and a very securely attached mammary system. I expect her to only get better with time. Description: We were lucky to be able to buy back Fortune who was sold as a kid. She is out of Kharma who is a full sister to Kiwi. Fortune is a very correct doe with a very well attached mammary system. 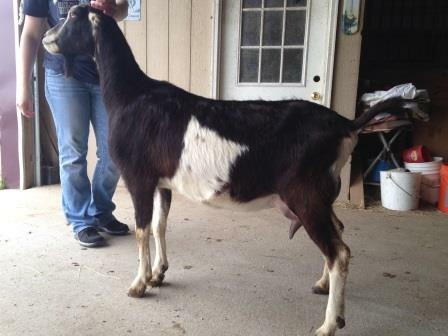 I am very excited to add her to our dairy herd. Description: A very stylish long bodied doe. A high wide and nicely attached mammary system. Description: A very stylish doe with a very nicely shaped and attached mammary system. 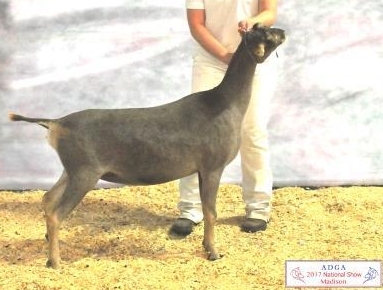 Description: We were lucky enough to win "Andi" in the raffle at the 2013 ADGA National Show. She freshened with a beautiful mammary system that has great shape and attachment. 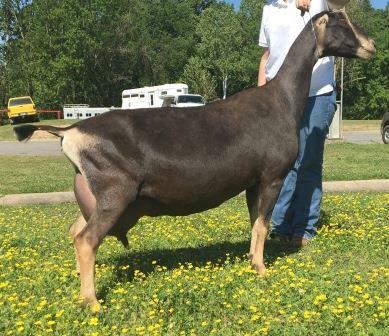 Description: Another beautiful doe out of Jaycee. She is longer bodied than her twin and excels in dairy strength. This doe has tons of potential and I think she will continue to impress with further lactation. 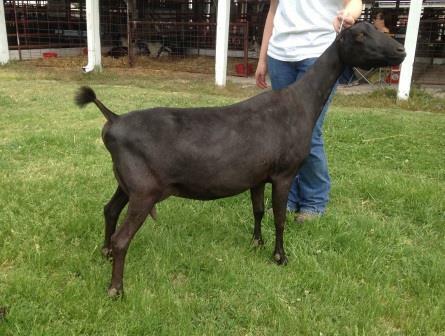 She was the 6th place dry yearling at the 2013 ADGA national show. Description: Faline has matured into a large powerful doe with a very capacious mammary system. She reminds me a lot of her dam GCH Jen-Mae-Ka Kids Jumbo. 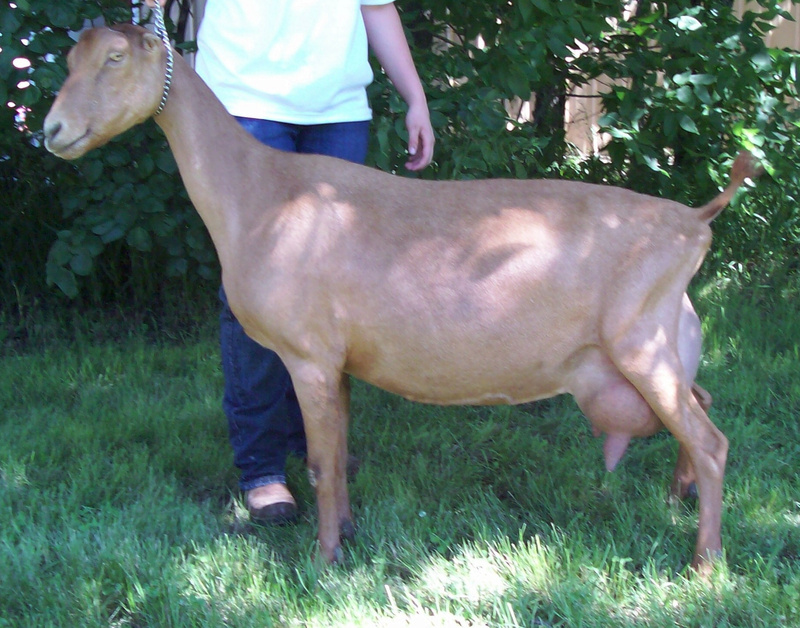 Description: A big boned, long bodied doe who freshened with a beautiful mammary system. Unfortunately due to mastitis as a yearling her udder is uneven and she is not shown. However, she is a quality brood doe with great genetics. Description: Kharma is my sister's favorite kid of the year. She is stunning from the profile with a beautiful rear leg set. Her mammary system is very symmetrical and attached nicely against her body wall. Description: Jumbo finished as a first freshening two year old. She is now a very strong brood doe who's kids have done extremely well. She is easily one of my heaviest milkers, and I cant wait to see how she does on test. 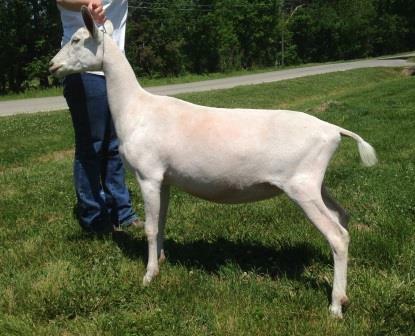 Description: Carrie is a smaller type doe, but she is just as correct and wide as any. 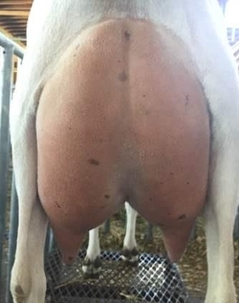 Her mammary system is extremely correct with one of the widest, fullest fore udder attachments in my herd. 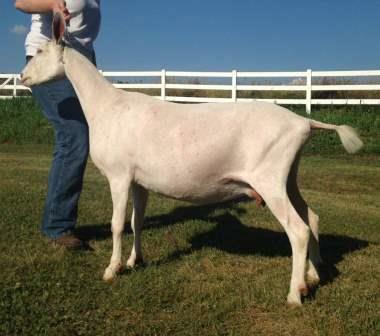 She also finished as a first freshening two year old and I have a beautiful doeling out of her. Description: Shania is very similar to her dam, Whitney, when she was a kid. She is very correct and attractive. 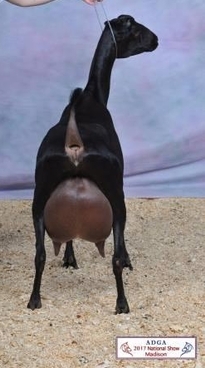 Her mammary system is very well attached with a smooth foreudder and a wide rear udder. 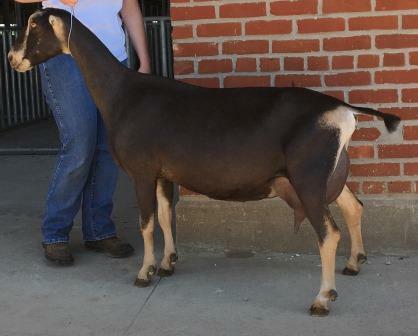 I look forward to seeing her in the show ring this spring. Description: This doe is another beautiful doe that exudes general appearance. She is extremely long bodied and upstanding, making her very eye catching. 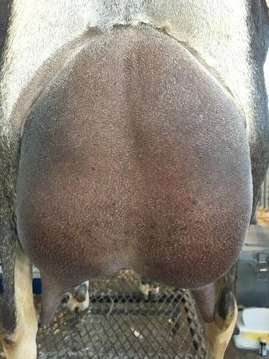 Her mammary system is very well attached, and she continues to be a productive aged doe. 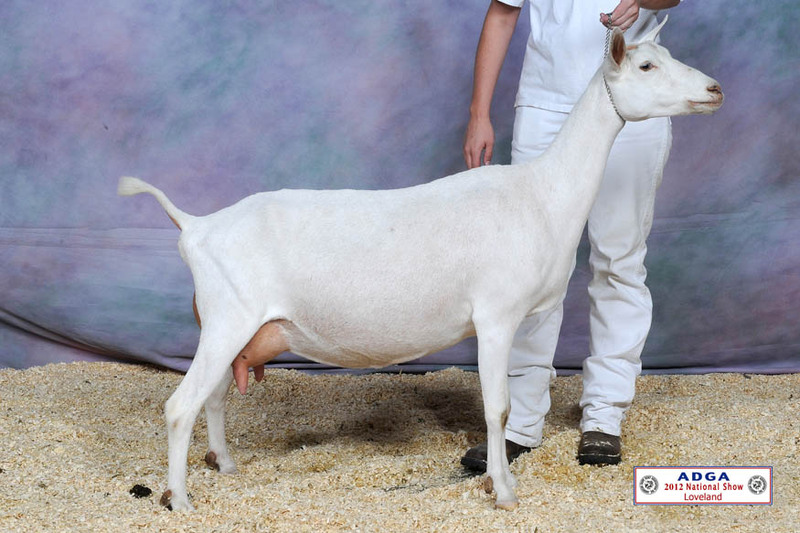 Description: Latifah is a gorgeous long dairy doe who has an excellent mammary system. 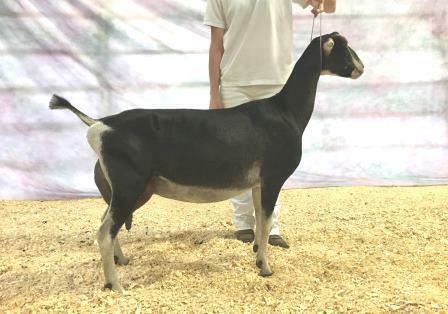 She quickly earned her permenant championship, and has been awarded Best Of Breed several times throughout her show career. 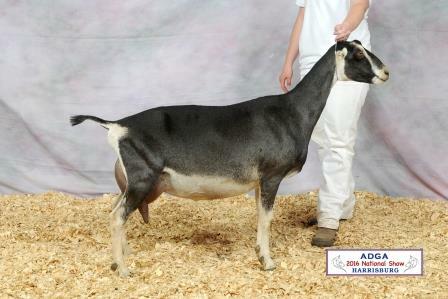 Her daughters have also been very successful in the show ring. Description: Train is a very special doe. 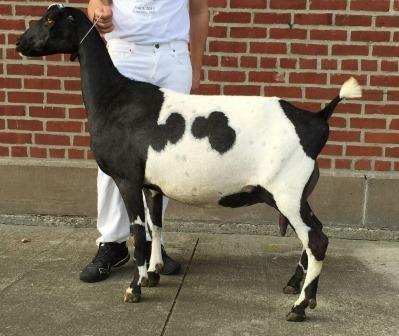 She is only one leg away from becoming a champion but unfortunately she has won 12 reserve championships instead. She has great general appearance and a wonderful top line. 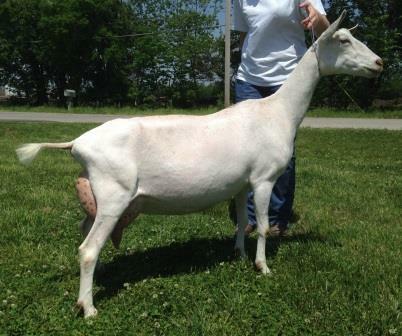 Her body capacity and power mixed with dairy character and angulation makes her a very complete doe. Her mammary system is very capacious with lots of area of attachment. Description: Sheba was one of my favorite kids from her year having great general appearance. 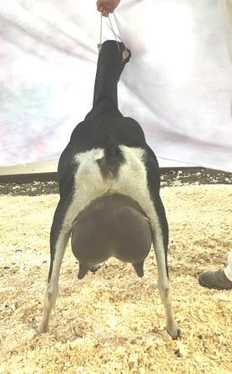 She has a beautiful mammary system especially when viewed from behind having a very balanced udder with a high and wide rear udder attachment. Description: Olive is a very unique doe. She has great dairy character with a very long lean neck, but she also excels in body depth and capacity. 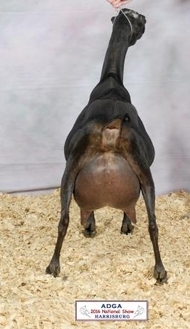 Her udder is well attached with a very high rear udder attachment. Description: Cleo is another one of my favorite does. She is very large and has a beautiful mammary system that is extremely well balanced and capacious. 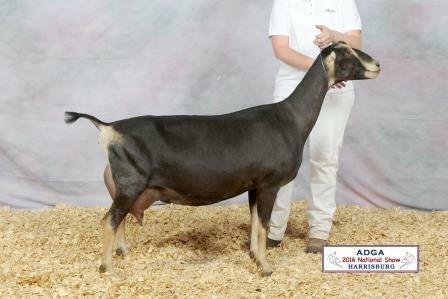 Description: A stylish kid just like her dam with great arch and width to the escutcheon. Description: Rags excels in both general appearance and mammary system. Description: A very dairy and stylish kid. She looks a lot like her mom as a kid. We are excited to watch her mature. Description: Indy matured into a very big boned, large body doe. She has a beautiful mammary system. She finished as a first freshening two year old. 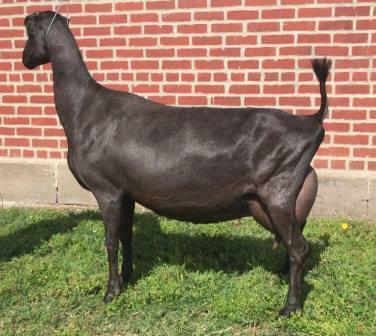 Description: Stella is another beautiful doe out of Kaiser. She has great depth and width throughout while still maintaining a very stylish profile. She freshened will a well attached mammary system. 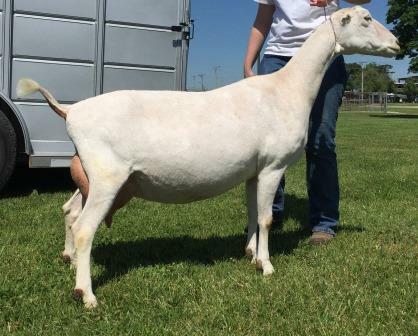 Description: Winning colors is a very pretty doeling that my sister received when she purchased her buckling. We are very thankful for this beautiful addition to the Saanen herd. Description: She is extremely long boned, uphill and excels in general appearance. 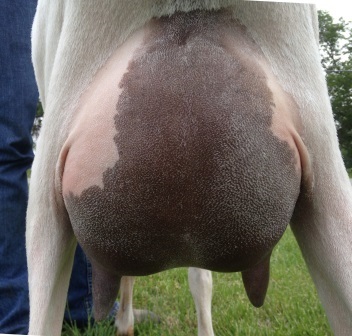 Her mammary system is very correct with a high, wide rear udder attachment. 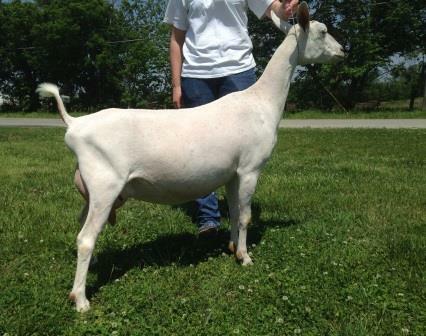 She was 2nd place Senior Yearling at the 2013 ADGA National Show. Description: Dana is a doe I acquired from Carol Mann with Old English Saanens. She is a very tall, long bodied doe. I am excited for this new addition to the herd. Description: Another beautiful doe out of Tundra. She is very correct and has great general appearance. 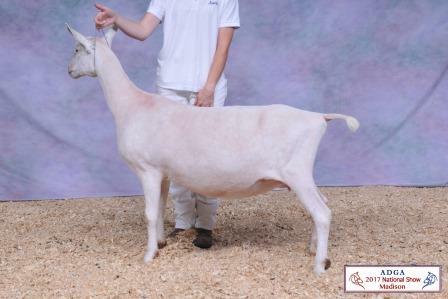 She went Grand Champion Saanen Jr. Doe under Jennifer Lowman-Petersen. 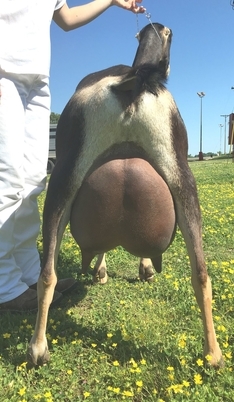 Description: Dakota is a very pretty doe with a very correct mammary system. 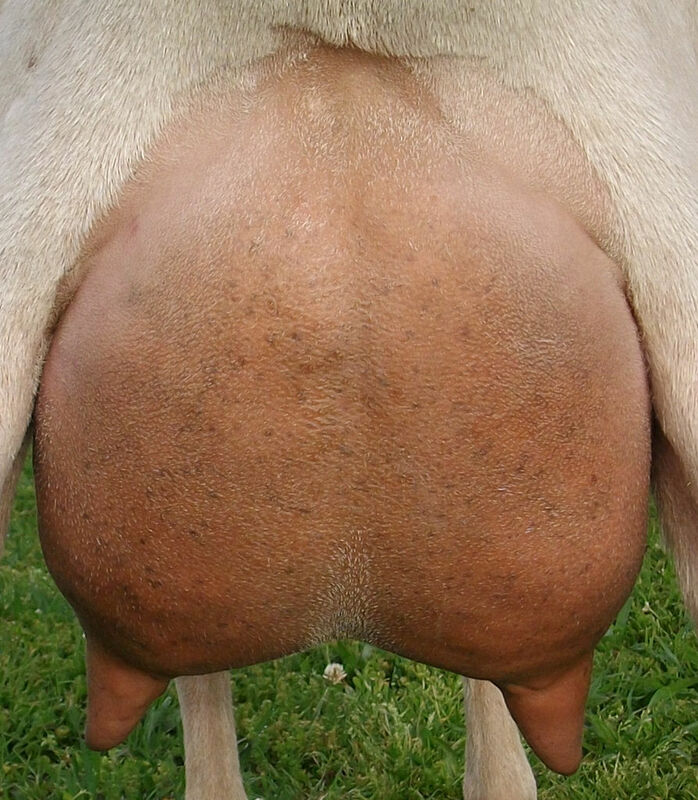 It is held so securely against her body wall with a smooth fore udder and wide rear udder attachment. Description: A very powerful, large doe. She is very deep and wide. She freshened with a nicely shaped, and well attached mammary system. She is a complete package that earned her championship as a first freshening two year old. Description: Breezy is very correct and her profile is stunning. She was Best Jr. Doe in show her first time out as a kid, and placed second at 2008 ADGA Nationals intermediate kid class. 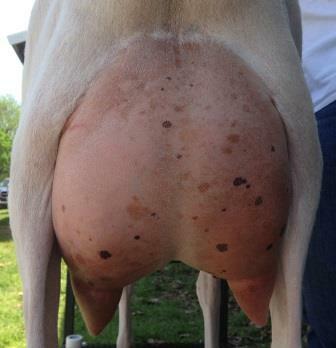 Her mammary system is well attached with a high rear udder attachment and smooth fore udder. I feel she will only get stronger with time and maturity.